*TINY SOLES* Review & GIVEAWAY!!!! I know you all will love this boutique as much as I do! TinySoles offers a complete selection of stylish, comfortable, quality shoes for babies, infants,toddlers & kids. What amazed me about Tiny Soles, is that it's a one-stop-shop for all your little feet needs. The selection includes all of the best brands all in one place. I only have one little one, but I can imagine how helpful Tiny Soles would be if you had maybe three to buy for. Literally you can do it all right there. The company was started by three Moms who's mission to find quality, development appropriate footwear for their children locally became a dead end street. They had repeatedly disappointing experiences with different online shoe retailers and flat customer service. The three of them decided their SOLE searching was over and they created the ideal store in Tiny Soles. This means exceptional customer service by knowledgeable staff who have real life experience with each product, carrying the best selection in footwear, and cutting out the unnecessary hassles of searching for quality footwear for your children. Until June 30th 2009, Use the code "WishingPenny" on any purchase $30 or more, & receive 10% off. You can enter it after you put something in your shopping cart!! Great offer - Keep that in mind!!! I want to thank the ladies at Tiny Soles for making this possible :) They have been so kind to offer one lucky reader a $35 gift Certificate to Tiny Soles!!!! I'd choose the pediped Flex Jayden Black. I also entered the Chebe Bread Mixes giveaway. I'd get the See Kai Run Kenso shoes! The KEEN Calistoga Azalea Pink Kids in size 11 is a great looking shoe. Thanks. I love the KEEN Coronado Azalea Pink for infants. What a great looking shoe!! Thanks for the review, I'm bookmarking Tiny Soles! I follow the Tiny Soles Blog too! I subscribe, and I forgot to leave the link for my tweet in the previous comment...so here it is for your reference! I entered the Eco Tools giveaway! The Eleven series icute. Good for everything from playground to dress up and in my daughter's favorite color, pink! I would totally choose these shoes for my sisters daughter...her name is Abby! I follow the tiny soles blog. I entered the eco tools giveaway. I'd probably go with the Teva Omnium Grey Infant (although I'd need the toddler size). I entered the VCO giveaway. Oh, that is a great store!! I would choose the Kamik Tickle Royal Blue toddler boots (for next winter). I would love to get my daughter a good pair of sandals for this spring and summer but there are so many to choose from! I like the Eleven Nadia, KEEN Calistoga Azalea Pink Kids, and the KEEN Venice H2 Moonlight Mauve Kids. My son would totally rock the Teva Tamur Leather! I like the Emma by Eleven! 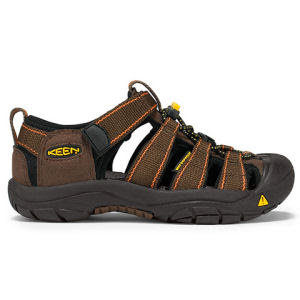 Without a doubt, I would choose the KEEN Newport H2 Pinecone Kids. I love my Keens and I am so happy they make them in kids sizes too! Wow, so hard to choose but I would probably choose the see kai run Celeste shoes! So cute! I follow tiny soles blog. I entered your Chebe Bread Mixes giveaway. We would definitely choose the pediped Logan Brown/Orange. Thanks for the giveaway. oh cool, keens for toddlers! we would totally get some of those for our soon to be 2-year old. we both have keens and use them hiking and up in the boudary waters in northern mn and love them. thanks! I would get the Eleven Josie shoes. I love those! Thank you! I would love the pediped Samantha Pink/Brown for my daughter! I entered the Chebe Bread Mixes giveaway. I love the Eleven Kai shoes. Perfect for my spicy 2yo fireball! I'm following the Tiny Soles blog also. i've had my eye on the pediped kaitlyn in pink for a whil! I think I would get some Hatley rain boots, maybe the Pirates or the Space theme. I'd choose the Fisherman Sandal. Following the Tiny Soles blog. I entered the PEVONIA Giveaway. i would choose either see kai run sylvias or elaines! I'd probably choose the Pediped Flex Brady style or a pair of Keen's sandals (not sure what style; so many to choose from)! I would choose the Eleven Nora boots for first grade for my girl! She'd love to wear them! The Ruby Jane pedoodles are cute. I think I would choose the Hatley Summer Garden Rain Boots for my adorable little niece. They are too cute. Thanks for the awesome giveaway! I love the Eleven Eleanor shoes and the Pedoodles Ruby Janes. Thanks for the chance to enter. Oooh, I can't choose. The Country Kids Hand Crocheted Mary Jane? The pediped Abigail in Choc Brown/Blue Velour? Or the Hatley Prancing Horses Rain Boots for my toddler? I like the TinySoles :: 6-12 months :: Jack and Lily Delightful Daisy. Cute! We've been eying those Keen sandals! I think I'd get the KEEN Truckee Gargoyle hiking boots. I would choose Eleven Dublin. I would choose the Jackson sandals or the Paul shoes in the See Kai Run collection. My favorite is the TinySoles :: 12-18 months :: Girls :: pediped Abigail Pink Green . I am now following the Tiny Soles blog. I would love to get Brea the Hatley Summer Garden Rain Boots. Thanks for a great opportunity. I would get the Jack and Lily Singing Love Birds! I love all the Keen shoes! My fave would be the KEEN Targhee Dark Gull Grey/Old Gold Infants. I'd love the KEEN Emmett Pinecone for my son! I would choose the pediped Flex Brady in navy/orange. following the tiny soles blog too. What a super cute store!! I love it!! I would pick some see kai run sandles for my little Tyler!! Thanks for this great giveaway! I would love to win...trying to win my first blog contest!! The pediped Demetri Navy/Gray shoes are so cute! The See Kai Run Elias shoes are awesome! Tough to choose, but I love the looks of the Hatley Dinosaur Rain Boots. Thanks for the giveaway! I would choose the Pediped Amber Pink/White Girl Shoes. I subscribe to Wishing Penny via e-mail. I would choose the Keen Coronado Persimmon Orange Infants US5 or the Keen Venice Pinecone Infants US5. I would if I could all the shoes!! Love shoes!! I follow the TinySoles Blog!